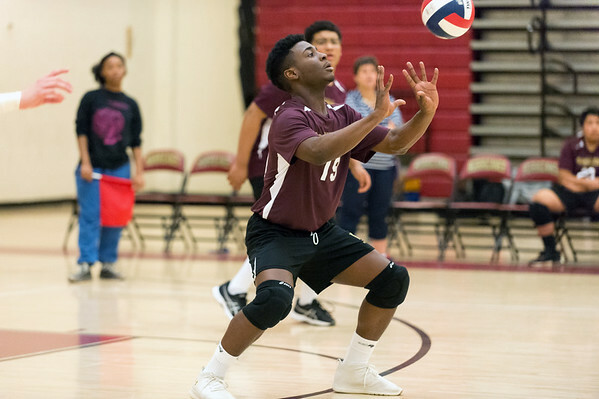 ROCKVILLE - The New Britain boys volleyball team is still searching for its first-ever win, but the Hurricanes are making significant strides towards cracking the win column. Rockville swept New Britain in three sets on Friday evening, but the Hurricanes battled through a tough second set, losing 27-25. Junior Jerry Chungong enjoyed a perfect serving night, going 12-for-12 on serves through three sets, while fellow junior Giovany Hernandez went 13-for-14 at the service line and added five digs. Abraham was especially impressed with sophomores A.J. Salmon and Max Negron, who held their own on the back line against a senior-heavy Rockville squad. The Hurricanes will try again for their first win on Monday at Bulkeley. Southington 11, Conard 1 (5): Weather shortened the Blue Knights’ second game of the season to five innings, but Southington’s offense provided enough runs for a full seven, and then some. The Blue Knights exploded for five runs in the first two innings before plating five in the fourth in an 11-1 win, as Jack Meade battled the rainy weather with a 4-for-4 day, including a pair of doubles and three runs scored. Jake DelMonte added two doubles as well, while Kevin McIntyre recorded a triple in the offensive assault. Jason Karar tossed four innings of one-run ball for the Blue Knights, who remained perfect on the young season at 2-0. Posted in New Britain Herald, New Britain, Southington on Friday, 5 April 2019 20:25. Updated: Friday, 5 April 2019 20:27.